"Extra Time does a great job! You won't go wrong with your home or business using Josh and his team. Very dependable and easy to work with. Consistent and punctual. Gives me extra time every time!" Enjoy extra time by leaving the routine house cleaning tasks to Extra Time LLC. We have the equipment, skill and most importantly, the dedication to keep your house clean and sanitary. 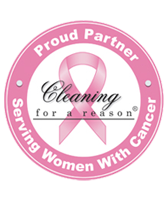 Call today to request house cleaning services in Lafayette, Louisiana. Give employees and patrons the clean environment they deserve without investing significant time or energy into facility upkeep. Call Extra Time LLC today for commercial cleaning and janitorial services in Lafayette, Louisiana. There is only so much that cleaning products and general housekeeping can do to keep your home clean and sanitary. To superbly clean a home, one must have a genuine concern for the quality of life and well-being of the occupants. Extra Time combines a sincere desire to help others with a talented staff and innovative cleaning products and techniques to provide homeowners in Lafayette, LA and surrounding areas, with house cleaning services that are exceptional in every way. When employing Extra Time for house cleaning services in Lafayette, Louisiana, you can rely on superior housekeeping from a skilled, courteous maid. Extra Time employs bonded and insured housekeepers and performs thorough background checks before bringing a new member on board. In order to facilitate and develop a close relationship with homeowners, we have a policy of assigning one maid per home. Take back your extra time and energy spent on routine housekeeping in with maid services from Extra Time. Provide employees and patrons of your business the clean, inviting environment they deserve with commercial cleaning services in Lafayette, LA, from Extra Time. As fixed members of the Lafayette, LA, community, we want your business to succeed by helping you maintain a clean, professional facility without significantly impacting your bottom line. We now offer cleaning of medical facilities, like doctor's offices, hospital, hospice care centers, and more. Call today for more information regarding our commercial cleaning services in Lafayette, Louisiana. Our staff consists of members of the Lafayette, LA, community that are concerned about the heath and vigor of our local environment. Consequently, Extra Time uses eco-friendly cleaning products and cleaning techniques. Call today for more information about our green cleaning methods and to request professional cleaning services for your home and business in Lafayette, Louisiana. At Extra Time, we've extended our service offering to meet the needs of our growing customer base. We now offer cleaning services for medical facilities like doctor's offices, dental practices, hospice care centers, urgent care, and hospitals. For more information on what our services include and to inquire about pricing, give us a call today! Just ask our clients! Extra Time creates value for it’s customers by improving communication, exceeding client expectations, and most important- consistent, quality workmanship. Check out our cleaning packages to find the one that best suits your particular needs, and call us for more information! Have you worked with Extra Time? We strive to provide top-notch customer service and love hearing from our customers. If you've worked with Extra Time recently, please take a few minutes to leave us a review!